Pomellato’s new luxury gold jewelry collection, Colpo di Fulmine (meaning love at first sight) , is unexpected in many ways. Not only is Pomellato using white gold with colored stones for the very first time, the sleek and contemporary design is also a surprise. Using asymmetrically-cut gems, the jewelry pieces from Colpo di Fulmine are sophisticated yet carefree. Garnet, fire opal, blue topaz, peridot and amethyst are the five beautiful gems that you can wear alone or mix and match as you wish. The collection of pendants, earrings and rings aims to appeal to those who are not necessarily ready to invest in a significant jewelry piece, but appreciate the beauty of semi-precious stones. For jewelry enthusiasts who are already familiar with Pomellato – its iconic Victoria necklace, exotic Arabesque ring and smoldering Tango chain – then Colpo di Fulmine will make you fall in love again with its creative cut of gemstones, all beautifully set on a sleek white gold band with pavé diamond setting. The film for the collection stars Tilda Swinton wandering through an Italian villa, then experienced a lightning moment of love at first sight. The short yet dramatic film was directed by Luca Guadagnino, and perfectly reflected the mood of “Colpo di Fulmine.” The movie’s setting, lighting and editing were different from his previous work for “M’ama non m’ama” infused with sunlight. The "M’ama non m’ama" (love me, love me not) range is one of Pomellato’s best sellers. 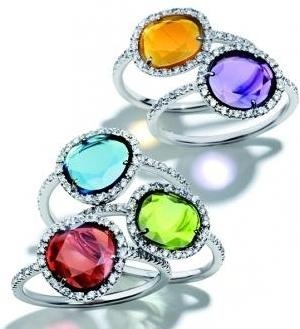 It is based on a gold band with gemstones, for a total of 9 different rings, each with different meanings and colors. For example, garnet (red) for pleasure, green tourmaline for hope, red tourmaline for love, blue topaz for tenderness. A combination of different rings can be used to create a personalized piece of jewelry. 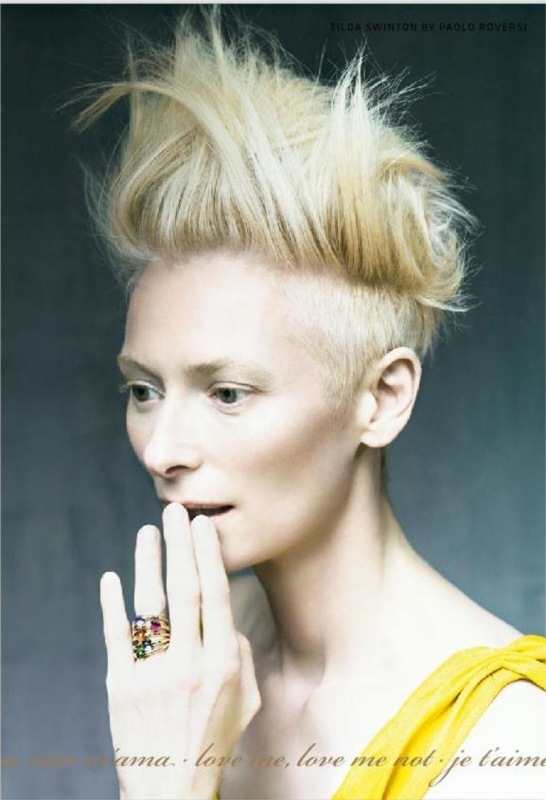 It is promoted by means of engaging graphic design, and recently by a video featuring Tilda Swinton. This has proved to be a remarkable piece of marketing. The phrase "tilda swinton m’ama non m’ama" has become one of the most often-searched phrases in the jewelry sector on the internet.In 1994, Pomellato had declared its "commitment to the protection of the natural heritage," and it created DoDo, a range of modular jewelry which could tell a story and communicate messages of universal meaning. Pomellato is a company that, in its own words, changed the rules. The rules of jewelry. It removed it from its traditional formality and made it younger, sexier, more universal in appeal. It introduced meaning to its pieces, rather like the language of flowers. Meaning transmitted by gemstones, by words, and above all by animals, motifs that have become the mainstay of DoDo, the House’s second major brand. Pomellato’s success is also based on the cross fertilization between design and fashion. The high quality of crafts workmanship (the lost wax technique) was adapted to industrial production, with positive results in terms of innovation and image. 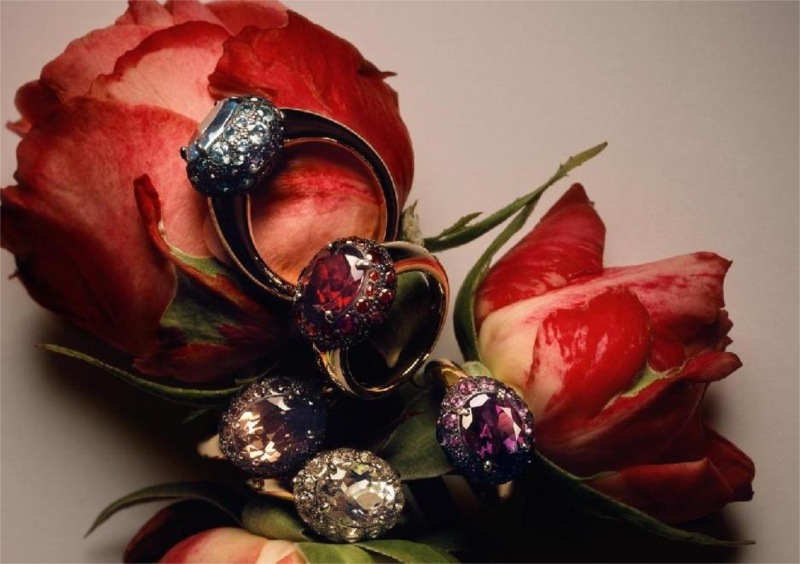 Pomellato was founded in 1948 by the Rabolini family, which still holds ownership. The company premises are in Milan, where the two main lines are manufacturered: Pomellato gioielli, and Dodo. The name comes from "cavallino pomellato," meaning a pinto or piebald pony. However Pomellato only became a true brand two decades later, in 1967, when Pino Rabolini met Luigi Signori. This initiated the transformation from a crafts jewelry to global fame, with the development of pendants and necklaces in gold with diamonds. In 1982, Pomellato opened a boutique in Via San Pietro all’Orto, Milan, and from the mid 1980s, the company opened stores all over the world. Products in silver were introduced in 1983, and watches in 1989. In the 1990, gemstones began to be used intensively, diamonds, but above all large colored stones with cabochon cut, used to create highly evocative pieces of jewelry. In 2002, the company began sponsorship of WWF Italy, and launched the project "The earth can save man," with the objective of safeguarding the 100 most threatened eco-regions worldwide. Queen Rania of Jordan was the testimonial for the project. In Autumn 2002, the company launched "Stress," a limited-edition woman’s watch, which attained remarkable sales success. The company decided to try a flagship store, and opened one in Naples, on Via Filangieri. Total sales for the Pomellato group reached 67.3 million euro in 2002, up 22.5% on 2001.